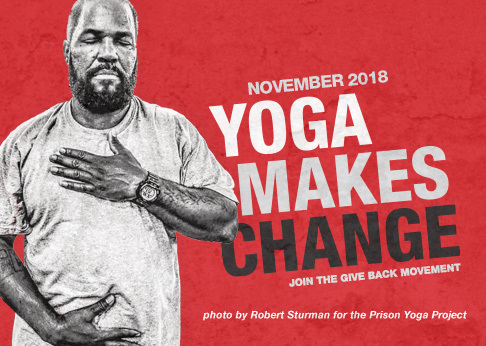 In this interview, Tommy Rosen, Founder of Recovery 2.0, talks with us about yoga for addiction, the importance of community, what it means to be of service, and how Yoga Makes Change. How can we move towards behaviors which promote our wellbeing, rather than demote us as individuals? Recovery 2.0 is a global movement that embraces a holistic approach to recovery from addiction of all kinds. R20 is a membership site for people in recovery, their families, and people who work in the field. Y12SR offers a rich and powerful framework for addiction recovery and relapse prevention. Our programs transform the lives of people affected by addiction, incarceration, war, eating disorders, and cancer.